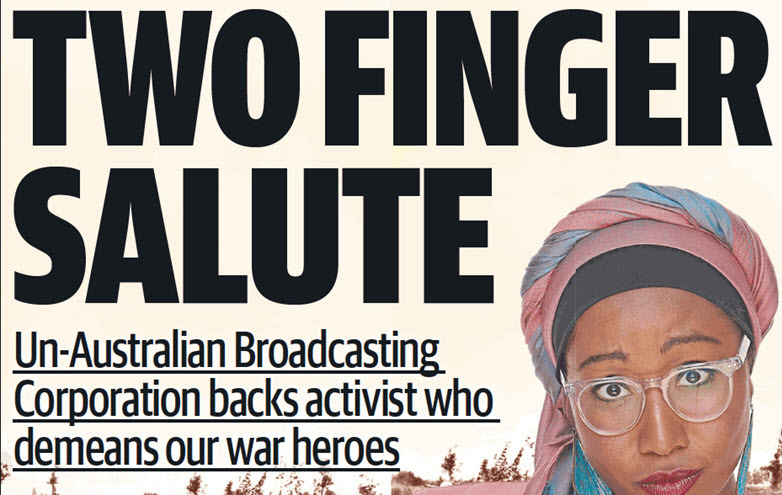 It should be clear by now that The Australian's latest attempt to destroy the career of Yassmin Abdel-Magied has gone over the top, as unwisely as the Anzacs did. The brutal chase began with a seven-word Facebook post by Abdel-Magied: "Lest. We. Forget. 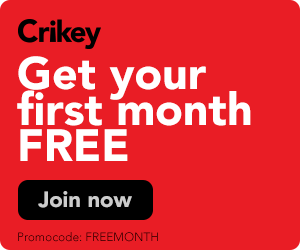 (Manus, Nauru, Syria, Palestine)". 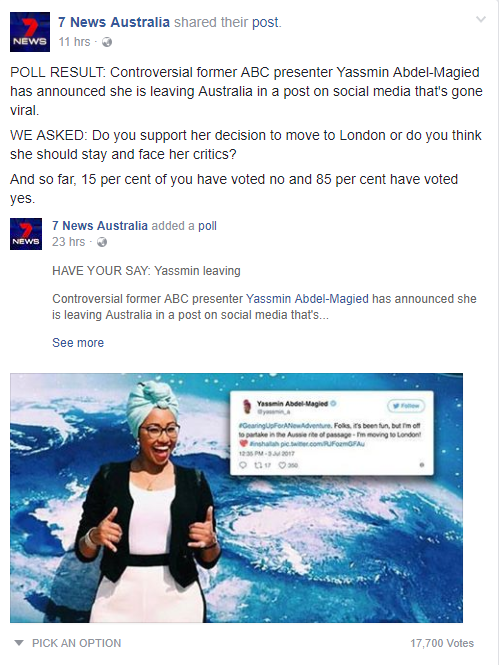 The comment was a passing one, and an act of free speech, by someone who is an ABC youf presenter, among other duties. The Australian and the rest of News Corp went her. The management of ABC conspicuously failed to step in and point out that presenters who aren't doing Lateline etc, should have some leeway for passing comments. Lacking that visible support, and presumably getting the opposite in private, Abdel-Magied deleted the parenthesised words on her post. That's when things started to get really strange and nasty -- presumably because Abdel-Magied had made a tactical withdrawal, depriving the hounds of prey. For of course Abdel-Magied didn't say anything about the Anzacs per se, positive or negative. She simply suggested that other people suffered and should not be forgotten. The suggestion that this is, a) a terrible thing for anyone to say, and b) a sackable offence for an ABC broadcaster, is so stupid that it demeans us all to have to even broach it. But we're at that moment when stating the most basic truths is the most urgent duty, against a push that has become clownish and sinister at the same time.